Today’s topic is all about flights, long trips and traveling. Yes, we are here to talk about ways how to travel with style. I am a person who likes to wear laid-back outfits, no matter if I go by plane or car if it’s a short or a long trip! 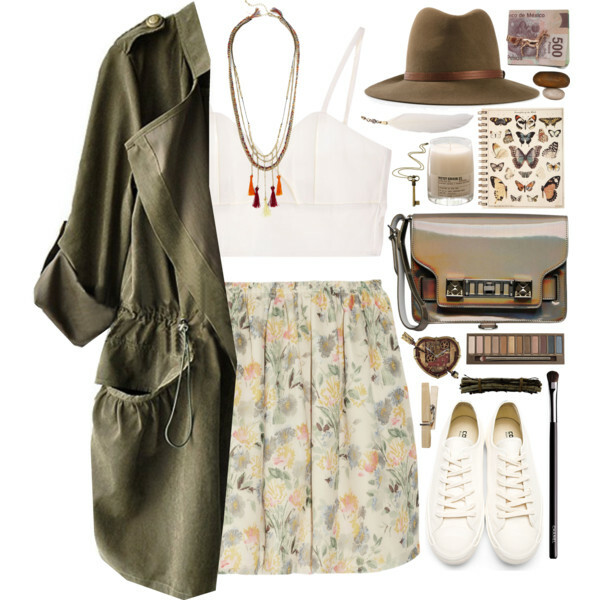 You can create a fabulous traveling outfit by wearing your favorite everyday clothes. How about this blue-white printed knee-length wrap dress? It ideally matches low heel pumps and camel color hobo bag. It’s time to travel with style. In this article, I want to show you brilliant outfit ideas for women who want to go for an adventure! I gathered inspirational ensembles for your next trip, so you better watch them carefully, as everything is hidden in details. What is more important is to keep an eye on comfort, as you never know how many miles you will have to walk during your getaway. I personally always try to make an accent to lightweight layers, comfy footwear, and functional bags. What are you waiting for? It’s time to experience the power of traveling outfits. Keep scrolling down to see influencing clothing ideas for your next getaway. What you really need for a joyful travel, then it’s a comfortable and stylish pair of shoes, I recommend to give a try to these white smart sneakers. They look awesome with pastel floral print mini skirt and white bra top with spaghetti straps. If you think it’s gonna be cold, then you should definitely add this army green draped coat and khaki brown fedora hat to look like a real adventurer.